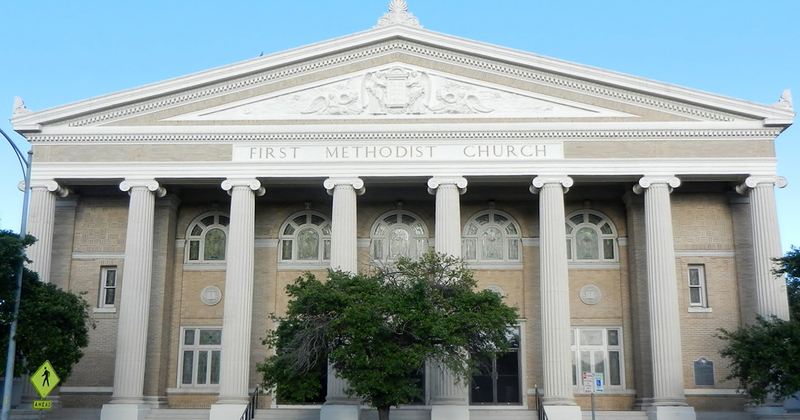 Founded in 1840, First United Methodist Church of Austin (FUMC) is an inclusive faith community of Christian believers in the heart of downtown. We balance traditional worship services with progressive theology. More than a neighborhood church, we are a church for all of Austin. Our members gather from across Central Texas and share a commitment to engaging conversations, community service, a growing faith, social justice, and Jesus’ commandment to love our neighbors. Come worship with us under the dome on Sunday mornings. All are welcome. 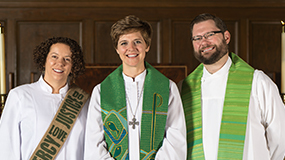 First United Methodist Church exists to build a community where all people are invited to know God’s love and sent to join God in transforming the world. We believe every person is a beloved child of God. We believe every person is on a journey to God, with God. We freely admit that we do not have all the answers, but we believe that Jesus points the way. When we practice genuine hospitality, engage in heartfelt acts of service, advocate on behalf of the powerless and excluded, and embrace the gifts of people from different backgrounds and experiences, the church becomes the authentic expression of God’s unconditional love for us all. 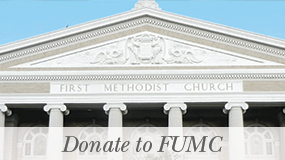 Justice | FUMC is a community that seeks to embody God’s shalom in the world, especially for the excluded and marginalized. We are committed to join God in the work of justice as we learn, name, and work to eradicate injustice in our church, our community, and around the world. Bridge-Building | Relationships are the primary way in which God transforms lives. We nurture lasting, multi-generational friendships within our church family, which form a web of support and life-long growth as disciples. We commit to build relationships with those who come from different backgrounds and have different perspectives, to promote understanding and humility. We rely on relationships with Church and community partners to effectively participate in God’s work. Storytelling | Through storytelling, we understand who God is and who we are. God is made known when we share our own stories of faith, of doubt, of relationship, and of growth. The primary stories that inspire and animate our community are found in the Old and New Testaments. We also learn of God through the stories of others who were faithful to God’s vision, such as St. Francis of Assisi, Martin Luther, John Wesley, Harriet Tubman, and Dr. Martin Luther King, Jr. Active Learning | Believing that a life of faith fully involves head, heart, and hands, we pursue knowledge and understanding in our faith journey. We encourage all to ask difficult questions, even when we don’t know the answers. We trust God to grow our capacity to know and understand. Service | At FUMC, we “work out our salvation” (Philippians 2:12) by serving others. We believe that all people have needs and all have the capacity to serve, so we seek mutually empowering service opportunities through which all can be blessed and have their needs met. Constructive Disruption | We believe that Jesus is the primary example of disrupting systems of power in order to enact the world God envisions (Luke 4:18-21). We seek to create positive change in the world by using our words and courageous action to creatively disrupt mindsets, systems and structures that cause injustice. These actions may be as complicated as Political Advocacy or as simple as sitting down for a meal with someone whose life experience is different from our own.